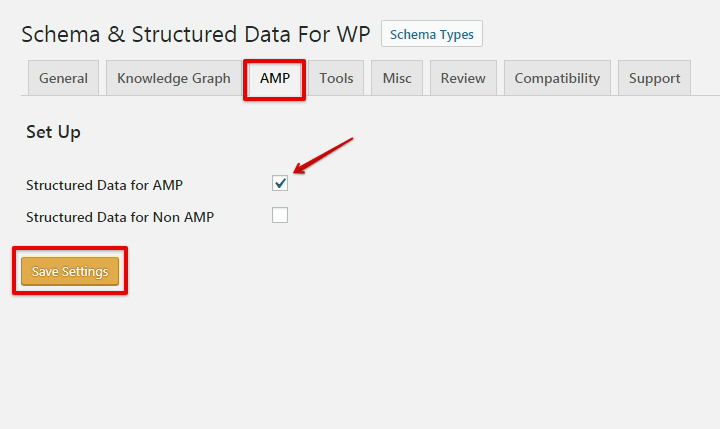 You can enable AMP Compatibility in Schema and Structure plugin by just enabling the option. It’s pretty easy for you to set up because it works out of the box. In the AMP section of Schema settings, you’ll see the Structured Data for AMP option by checking the box you can enhance the markup for the AMP version as well. Note: Currently our Schema plugin is compatible with AMPforWP plugin, but our goal is to make the compatibility with all the AMP plugins in the world. So if you’ve any plugin which is not compatible please contact us will make it compatible for sure.